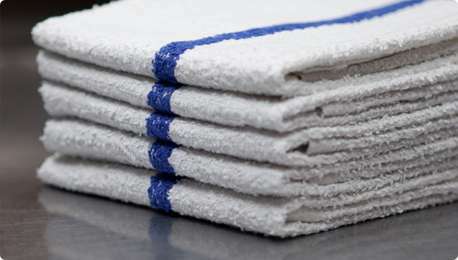 When it comes to functionality and significance in restaurant kitchen operations, nothing comes close to kitchen towels. They are versatile, functional, and essential in every corner of the restaurant – not just the back of the house! Cloth towels for your kitchen can save you loads compared to disposable towels. Not only are those paper-thin alternatives expensive, they also lack the superior cleaning and absorbing qualities that we all love about linen kitchen towels. But there is more to this modest kitchen tool than meets the eye. Making the right choice of kitchen towels can ultimately help you stretch your restaurant’s dollar while improving the way you keep your restaurant kitchens clean. Whether you are looking into kitchen towel rental for your chef’s use, or a set to polish your china and silver, or the ultimate tool for cleaning kitchen and dining surfaces, read on for some of our essential tips about kitchen towels and kitchen towel rental. + Material. Different surfaces and uses require different types of towel materials. The most popular options are cotton, linen, and microfiber. While cotton is generally cheaper, microfiber reigns supreme with absorption, antibacterial, and lint-free qualities, making microfiber towels perfect for cleaning surfaces. 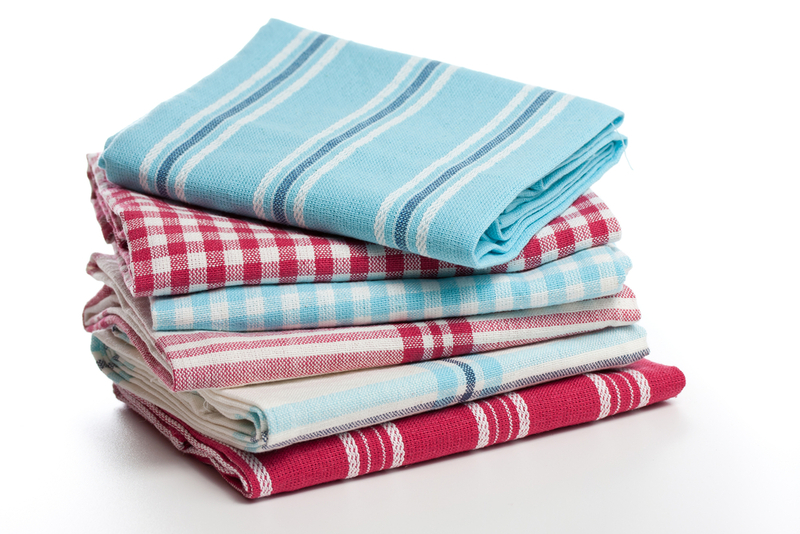 Not to mention, microfiber kitchen towels are more durable, giving you definite value for your money. Linen is the best type of kitchen towel for delicate wiping needs and is the most preferred option for wiping dishes and polishing silvers. The material you should be picking should match its purpose so you don’t spend too much on a type of towel whose purpose could easily have been achieved with a lower priced towel. + Size. 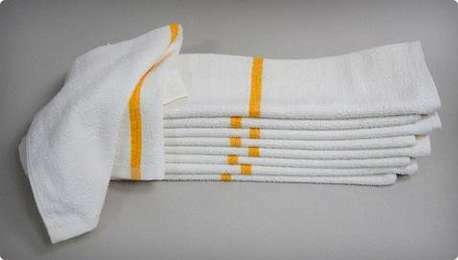 All-purpose towels – the ones chefs have at their disposal at all times – must be on the larger side regardless of the material and weave. They may seem too large at first, but the multiple folds allow for extra functionality. Bar towels, dish drying towels, hand drying towels, and bar mop towels can be slightly on the smaller side. For use in both food prep and general cleaning needs, kitchen towels must be absorbent, durable, and have a tighter weave. 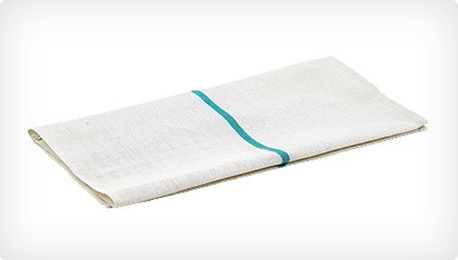 These synthetic fiber towels are sweeping commercial kitchens across the world with their high absorbency, impressive durability, and unmatched dust-absorption capacities. They are the best towels to have around to clean pre- and post-food prep because their tiny fibers can get through micro cracks and crevices on your preparation surface and can remove liquid and solid impurities. You won’t have to worry about keeping up with your stock of clean and ironed kitchen towels with the help of Mickey’s Linen! Our state-of-the-art laundry facilities, efficient operations, and on-time delivery will make sure that you’ll always have a steady supply of all the kitchen towels you’ll need, day in and day out. Contact Mickey’s Linen today at 800-545-7511 to learn more about your options!